I have to say, I'm not one for a whole lot of horror films with wolves (my favorite is still probably watching Jack Nicholson and James Spader face off in the the sorta-comedy, Wolf), but I am here for Adrian Garcia Bogliano, who directed the criminally underrated Here Comes the Devil two years ago. 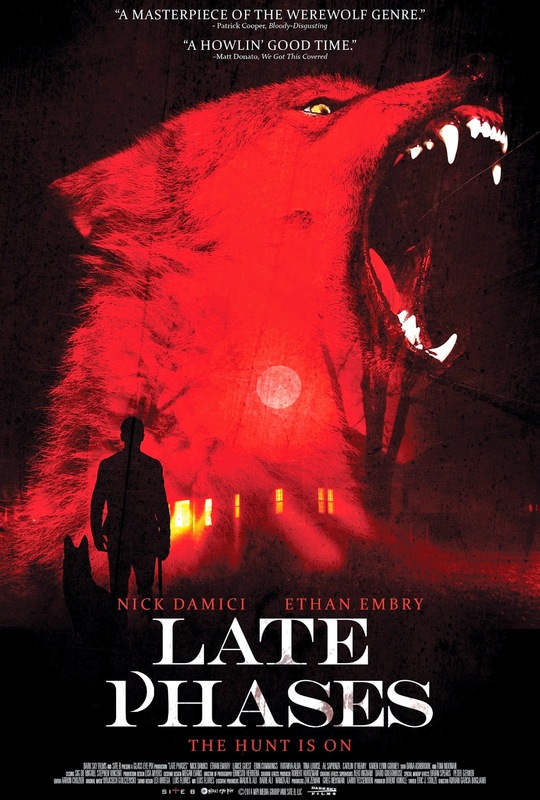 So I am really hyped to see LATE PHASES, his new film about a strange little town plagued by a series of deadly animal attacks. Plus, it stars Nick Damici (most recently seen in the not-so-great Cold in July and the awesome We Are What We Are) and Ethan Embry (who I'll always remember as Mr Papagiorgio in Vegas Vacation) -- which could provide an interesting mix of comedy and heavy suspense. LATE PHASES opens in select theaters November 21st.